Mr. Fish Vendor would make rounds in the village daily. 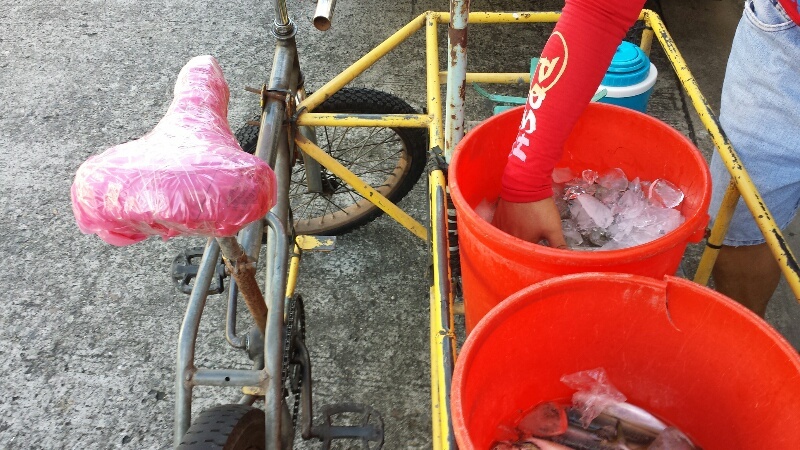 He will always have three choices of fresh seafood on his cargo bicycle. 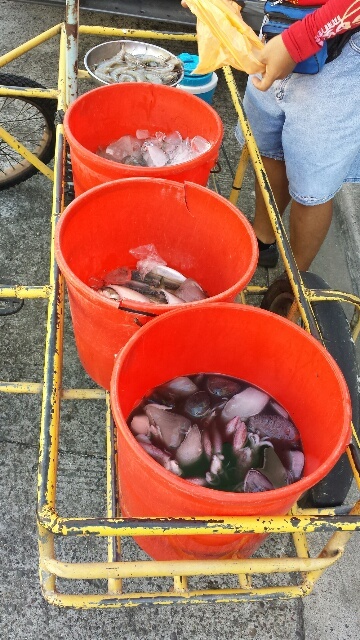 There’s always shrimp, while the two other tubs would contain fish and other kinds of seafood. 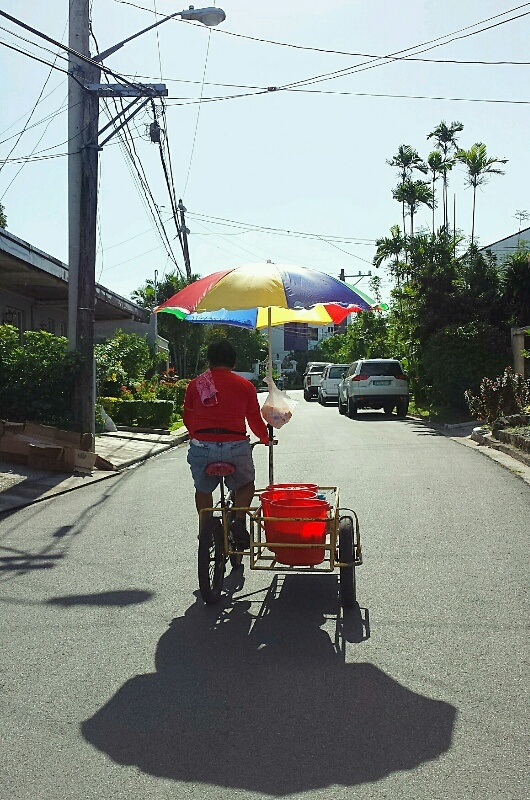 His favorite color must be red as he always don red shirt and his three tubs are all in red color.